What happens if I drop my piece? how strong is the concrete? All pieces are tested before release to ensure longevity and durability. The rings can withstand being dropped from a moderate height, even onto hard surfaces like concrete. If there is a rare case that a ring is broken a repair or replacement can be arranged. Will the piece naturally erode? The pieces which contain decaying elements have been sealed with an expoxy in order to protect them from further erosion and chipping away. How thin can piece be without becoming too weak? Approximately 2-3 mm, this depends on the overall structure of the pieces. Are you open to customised work? Surface Cast is open to working with you to create a one-off custom piece, and has worked on several custom pieces which can often combine design elements from multiple works. Is the price of a custom ring more expensive? A custom piece is normally the same price. For example, a small custom ring is the same price as a small ring. However if the request is to add stones, casting expensive metals or a larger piece the price will be adjusted to the work. This can all be carefully planned and negotiated together with you in the creation of any custom work. Are the pieces available in half sizes? Half sizes can be arranged as per request. This can be communicated via either contact form found on website, direct email, otherwise feel free to direct any messages via the Surface Cast Instagram. This depends on the complexity of the piece. Most commonly each piece will take 7 days to create with an additional 3-4 days express delivery. 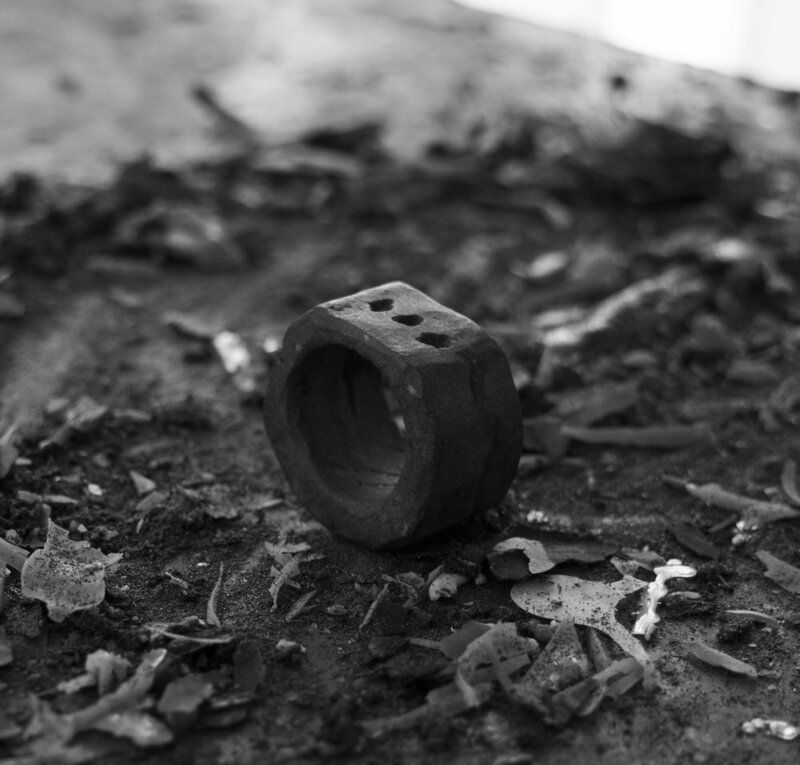 Each piece created is unique and undergoes a series of sculpting, texurizing, sanding, casting, finishing and sizes. Every piece is considered one-of-a-kind and will attain individual markings attributed from the process. Can I request more texture? You can request more texture or different finishing to your piece. As each piece is made to order. The concrete pieces are sealed with epoxy part A resin to ensure they are protected from the elements. They are then sanded with a fine sand paper and epoxy is then repeated. All metal pieces are sealed with a clear matte varnish to ensure protection and no further natural patina. Are the pieces comfortable on the hand? The pieces are very comfortable on the hand. Thickness can also be adjusted upon request, if a client is concerned. All pieces are finished inside and made smooth for the clients comfort. Can I request other metals? You can request other materials. Such requests would requre discussion through email, Skype or in person. Can I request different finishing? Yes, different finishing can be requested. This can be adding more texture, erosion, softening the edges, etc. Is it possible to request other patinas? Other patinas are available upon request. Are the pieces entirely made in Australia? Yes, all pieces are made in Australia from Australian materials. Can I request more images? More images or images of the specific details of any pieces can be sent on request. Is an instalment plan available like after pay, zip pay…? My website does not allow for instalments. However Surface Cast is happy to receive payments via PayPal invoices at a reasonable breakdown of cost (more of a lay-by). Yes, express shipping is included with tracking and signature. This normally takes 3-4 days, but can change depending on your geographic location.